WWET is responsible whale watching. This means that we care and always put the welfare of the whales and dolphins first. Sighting wild cetaceans is an amazing experience, and we believe that when done with respect, with purpose, with the right message, positive benefits arise for both the whales and people. Our tours meet all the locally stablished whale watching regulations, and international criteria that defines this activity as responsible. As you can see at WWET we choose to enjoy wildlife accordingly to our values, and you deserve the option of choice too. That is why we have gathered the following information, hoping that will serve you well for choosing all your whale watching adventures! Active avoidance or response to vessels: for example, rapidly changing speed or direction, or diving more frequently. Changes in surface activity in the presence of boats. Group dispersion, including mothers and calves. Reduction in resting and socializing behavior of dolphins. Noise from vessels affecting dolphin vocalization patterns. Long-term effects upon the health and abundance of the populations. The apparent habitat shift of dolphins from areas heavily targeted by whale watching tourism. Serious, and often fatal, injury. Caring about the welfare of the whales and dolphins. 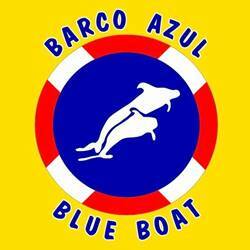 Maneuvering the boat according to the regional code of conduct. Following regulations governing whale watching in their region. Have an experienced naturalist or expert onboard. Carry out research, or invite researchers to use the boat as platform. Doing conservation activities or links with organizations that do so. Inspiring advocacy for the whales, dolphins and their habitat. Spain and the Canary Islands have laws that stablish protection measures for cetaceans, regulations for whale watching companies, and a code of conduct to be followed by everyone when doing this activity. REAL DECRETO 1727/2007, de 21 de diciembre. DECRETO 320/1995, de 10 de noviembre. DECRETO 178/2000, de 6 de septiembre. ORDEN de 29 de noviembre de 2000. Radius of 60 m from the cetaceans. Prohibited to enter or to stay. If the animals come close unexpectedly, boat engine must be in neutral or off. If they are dolphins, maintain constant speed and course. 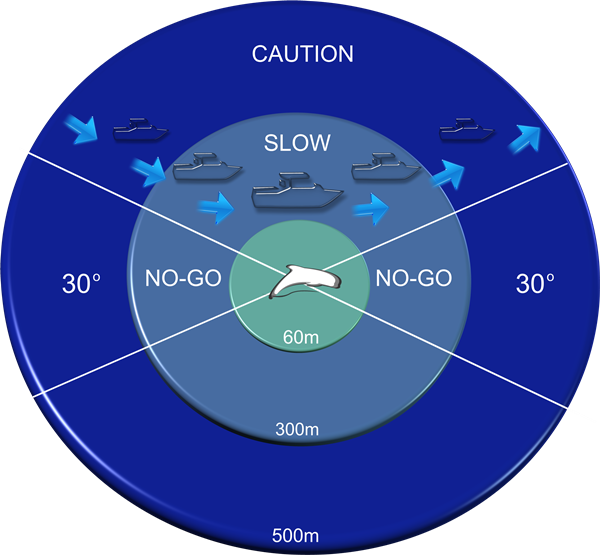 Radius of 60 – 300 m from the cetaceans. Prohibited to enter if there are only calves, or in company of one adult. Maximum 2 boats, and time limited to 30 minutes. Radius of 300 – 500 m from the cetaceans. Maximum 2 boats, and if both want to enter the Restricted Permanence Zone, they must coordinate by radio. Cylinder of 500 m of radius and 60 m of depth from the cetaceans. If the animals come close unexpectedly during sport diving, interaction is not allowed, and in case it happens divers must leave the zone. Cylinder of 500 m of radius and 500 m of altitude from the cetaceans. Swim or dive with them, or any physical contact. Feed or to throw any object at them. Separate or disperse the group. Make loud or strident sounds. Stay in the EMPC if cetaceans show any sign of annoyance. Use sonar or acoustic devices. Navigate faster than 4 knots, or the slowest animal of the pod. Navigate in reverse, or in circles. Make sudden maneuvers of speed or course. LOOK FOR THIS FLAG WHEN BOOKING YOUR TOUR! Whether you get WWET¨ or not for your whale watching adventure, pick a boat with this flag. It means that is a legal whale watching tour operator, that knows the regulations, has a certified guide on board, and has passed the government technical inspection for safety and reduced impact on the whales and dolphins.